San Jose, Calif. – July 10, 2012 – HighQ, a leading global provider of secure document exchange and enterprise collaboration software, has selected CDNetworks to accelerate its dynamic web application content and enable its legal, investment bank, and corporate customers to collaborate securely across different countries and continents. CDNetworks global points of presence (POPs), including in emerging markets, create a localized user experience, achieving up to a 2,000% increase in speed of downloads. “Global organizations are becoming increasingly dependent on cloud-based solutions and by using CDNetworks we’re now able to give them the high performance they expect from anywhere in the world," said Saviz Izadpanah, IT Director, HighQ. When rolling out its collaboration platform to overseas offices HighQ cited customers’ latency issues as a prime motivator in selecting the Dynamic Web Acceleration service from CDNetworks as well as the ability to plug into CDNetworks’ network and be up and running quickly. “We are pleased that CDNetworks is helping HighQ provide customers with fast enterprise collaboration regardless of location including distant and emerging markets like Australia, the Middle East, India, and China,” said Jeff Kim, Chief Operating Officer, CDNetworks Americas & EMEA. Another key factor in HighQ’s decision was to preserve the ‘instant-on’ nature of its cloud application without the need to invest in expensive data centers that would take considerable time to come on-line and drain resources in terms of man-hours, set-up costs, and technology investment. This enabled HighQ to speed-up download times greatly and to improve its service globally, realizing an approximate 70% savings in infrastructure costs. It also meant that the company could focus on its core expertise in enabling collaboration and rely on CDNetworks for delivery of dynamic site content and applications across multiple data centers and networks. CDNetworks’ solution enabled HighQ to accelerate both the application and its dynamic environment without relying on local caches to store documents. This allowed HighQ to streamline service upgrades and respond to customer requirements as quickly as possible and at the same time maintain the highly dynamic and interactive nature of its application. CDNetworks enables mission critical e-business in the world’s most challenging markets. CDNetworks’ unique position as the only multinational CDN with expertise and infrastructure in China, and other emerging markets, makes us a trusted technology and business advisor to more than 1,200 companies across the highly-competitive industries of software, travel, eCommerce, high tech, manufacturing, media, and gaming. Reliably delivering over-the-top performance anywhere in the world, CDNetworks helps businesses get closer to their end users without the limitations of hardware and private networks. Founded in 2000, CDNetworks has offices in the U.S., Korea, China, Japan, and the UK. For more information, please visit: http://www.cdnetworks.com. San Jose, Calif. – June 27, 2012 – Comparing the first half of 2012 to the same period in 2011, CDNetworks, the only multinational content delivery network with local expertise and infrastructure inside mainland China and across six continents, increased new logo bookings in both the US and Europe by 324%. This terrific growth in new business as well as existing customer renewals and add-ons contributed to the highest revenue and operating profit in CDNetworks 12 year history. CDNetworks is now accelerating performance for more than 17,500 active global websites, providing a faster and better experience for online users of shopping, banking, gaming, social networking, travel, entertainment, and eCommerce sites. As the only global CDN with local hubs in mainland China, 21% of new customers and 10% of add-ons from existing customers included the CDNetworks’ China Acceleration offering in the first half of 2012. New customers include a well-known luxury retail brand, a high-end travel experience site, and a large global investment and online trading bank based in Europe. Existing customers who added the China service include a premier online luxury fashion destination and enterprise collaboration site HighQ. "Global organisations are becoming increasingly dependent on cloud-based solutions and, by using CDNetworks, we’re now able to give them the high performance they expect from anywhere in the world,” said Saviz Izadpanah, IT Director, HighQ. In addition to adding new customers and keeping existing customers happy, CDNetworks has expanded its’ global network with pops in Columbia, Brazil, Chile, Thailand, Malaysia, Vietnam and Taiwan connecting with more than 100 pops on six continents. CDNetworks enables mission critical e-business in the world’s most challenging markets. CDNetworks’ unique position as the only multinational CDN with expertise and infrastructure in China, and other emerging markets, makes us a trusted technology and business advisor to more than 1,200 companies across the highly-competitive industries of software, travel, eCommerce, high tech, manufacturing, media, and gaming. Reliably delivering over-the-top performance anywhere in the world, CDNetworks helps businesses get closer to their end users without the limitations of hardware and private networks. Founded in 2000, CDNetworks has offices in the U.S., Korea, China, Japan, the UK, and France. For more information, please visit: http://www.cdnetworks.com. WINTER PARK, Fla. – April 23, 2012 – Highwinds®, a leader in content delivery, network and cloud-based IP services, today announced that Online Warmongers has selected the Highwinds GDN™ (game delivery network) for the delivery of War Inc. Battle Zone, the world’s first AAA-rated free-to-play shooter game. Online Warmongers is ramping up its marketing initiatives for War Inc.’s full release with the game set to emerge from beta this month, and use different marketing strategies from sites as https://the-indexer.com/seo-companies/ to improve the company’s success. Over a million players have played the beta version, and the game has consistently averaged over 200,000 users per month during its open beta. Highwinds delivers reliable gameplay to War Inc. players worldwide. Highwinds GDN is the first CDN (content delivery network) specifically tuned to maximize throughput, providing for lightning-fast game delivery. It integrates CDN services and a gaming software stack that enables faster downloads, lower delivery costs, fewer abandonments, instant purge and real-time analytics. Highwinds’ StrikeTracker® 2 console is providing Online Warmongers’ marketing arm with valuable insight into player geography, completion ratio and other key statistics, enabling marketing to match its go-to-market plan against real-time analytics. War Inc. is an action-packed, downloadable, MMOG (massively multiplayer online game) that features fun player-versus-player ground combat in multiple settings with a variety of modes and options for all players. Set in a vast, open environment of realistic detail, War Inc. brings new innovations to classic multiplayer combat game play. A retail quality game in a free-to-play form, it features modern graphics, high production values and in-game monetization, providing players early access to weapons and equipment that speed up game progression. 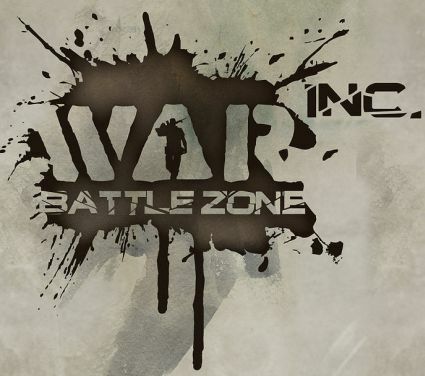 Play online at www.thewarinc.com. Visit Highwinds at the LA Games Conference in Los Angeles, April 24, or Deutsche Gamestage in Berlin, April 24-28. To schedule a meeting, call 407.215.2400 or e-mail info@highwinds.com. About Highwinds Network Group, Inc.
Highwinds is a content delivery, network and cloud-based IP services business that offers a comprehensive suite of CDN solutions, including content storage and IP software. The company delivers content and rich media over its high-performance RollingThunder® network to millions of global users every day. Highwinds CDN customers gain unprecedented command and control with its StrikeTracker® console and open APIs. Highwinds is headquartered in Winter Park, Fla., and maintains data centers around the world. For more information, visit www.highwinds.com. Online Warmongers Group, Inc. is an independent Los Angeles-based video game developer and publisher. The company is partnered with Cybergun (NYX: CYB) and funded through Arktos Entertainment Group’s early stage VC fund. Online Warmongers was established in 2009 to develop innovative online next-generation titles for consoles and PC. Online Warmongers was formed by a group of industry veterans from EA, Activision and Cryptic Studios with the vision of creating high-quality, free-to-play online games. Highwinds, RollingThunder and StrikeTracker are registered trademarks, and GDN is a trademark, of Highwinds Network Group, Inc. All other trademarks are the property of their respective owners. Nesher, Israel and Groningen, The Netherlands (Januari 12, 2012) – Saguna Networks, an innovative provider of Radio Access Network (RAN) application acceleration and mobile content delivery on HSPA and LTE networks, and Jet-Stream, the award-winning market leader in Content Delivery Network (CDN) technologies and intelligence, today announced strategic collaboration between the two companies on the delivery of federated Content Delivery Network solutions for mobile networks. The two companies are providing an integrated of web content and applications over mobile networks and Jet-Stream’s VideoExchange™ Content Delivery Network technology. The joint offering allows mobile network operators to leverage their RAN investment into an Intelligent Network that can actively manage and deliver content to mobile subscribers directly from the network edge. This innovative solution offers new monetization opportunities for mobile network operators and creates a CDN network that delivers valuable quality of experience matters to content owners and subscribers. Saguna Networks and Jet-Stream will be presenting their joint solution at the Mobile World Congress in Barcelona on February 27 – March 1, 2012. WINTER PARK, Fla., Oct. 5, 2011 /PRNewswire via COMTEX/ — Highwinds®, a leader in content delivery, network and cloud-based IP services, today announced the expansion of its managed services portfolio to include a Licensed CDN (content delivery network) offering for ISPs, telcos and MSOs. It enables last-mile providers to create new CDN-based revenue streams by delivering advanced CDN capabilities to their customers, while alleviating the strain over-the-top (OTT) content is putting on their networks. Highwinds Licensed CDN was architected to support the Federated CDN model and allows providers to rapidly and seamlessly transition between Highwinds’ multiple CDN solution tiers – reselling, managed hosting and licensing. "We’ve been licensing our software and providing managed hosting services to ISPs and telcos since 2003, and we currently have 63 customers in this space. We were also the first CDN to offer a reseller model, complete with private-labeling, APIs, and a high degree of R&D transparency," said Steve Miller, chairman and CEO of Highwinds. "As such, responding to the CDN needs of last-mile providers with a licensing and federating platform was a natural next step for us." CDN Reseller – Highwinds’ network and StrikeTracker® console were built from the ground up to support a reseller model, and today, Highwinds has an extensive global reseller channel. Any communications provider that joins Highwinds’ reseller program can brand StrikeTracker as its own and can immediately begin reselling Highwinds CDN. Highwinds’ resellers can provision and manage their own customers, pricing, billing, etc. CDN Managed Hosting – Providers can grow their network through Highwinds’ managed hosting services, while leveraging the cost advantages of their own network and data centers. Highwinds provides capacity planning, rollout assistance and ongoing support. Licensed CDN Operation – In true licensing fashion, last-mile providers license the CDN software stack and operate the CDN directly. Highwinds provides equipment recommendations, capacity planning and cross-functional training. All licensees receive access to Highwinds’ full suite of CDN services and ongoing software upgrades. Federated CDN – Providers may elect to expand their CDN footprint through federation, interconnecting their CDN with Highwinds CDN and other federation partners to cross-deliver traffic. CDN federation members benefit from a larger footprint without further deployment, giving each member the ability to sell global delivery, reduce local transport costs, and complement existing transit and peering relationships. "With the rapid growth of OTT video being delivered over last-mile networks around the world, the CDN space is obviously interesting to telcos and other communications providers. For some, it makes perfect sense to design their own CDN. For most, it does not," said Josh Gagliardi, Highwinds’ CTO. "Our Licensed CDN platform is designed for the vast majority who need instant-on, flexible, scalable, reliable CDN solutions – now. It also delivers the unique hardware infrastructure and solid software foundation on which the Federated CDN must be built." Gagliardi will be presenting on an expert panel entitled, "Outlining the Possible Different CDN Federation Models and Structures," at the CDN World Summit in London on Oct. 27.